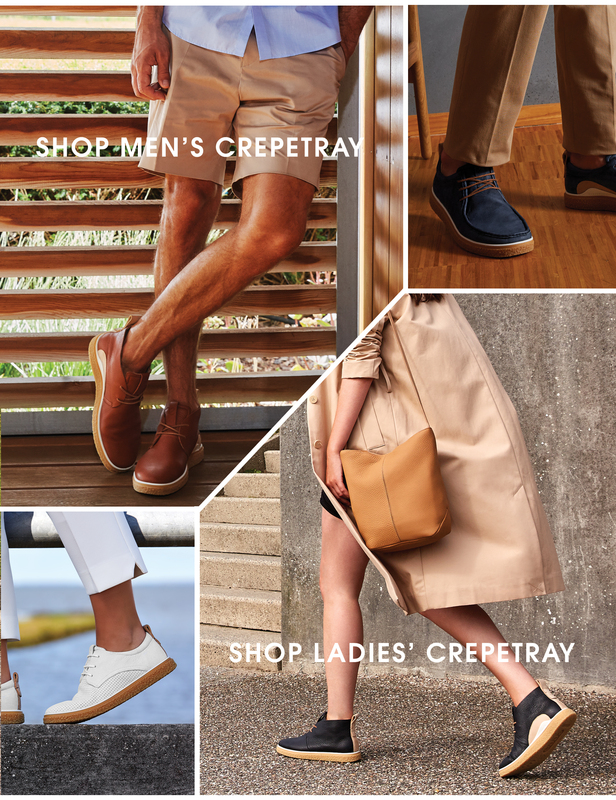 Based on the original ‘Veldskoen' walking shoe — inspired by traditional Khoisan footwear in South Africa, and later made famous under the name Desert Boot — the ECCO CREPETRAY is a combination of camel Nubuck or pebbled full grain leathers, and the distinctive ‘honey' crepe sole, that has become a shoe collection staple. Fusing the tradition of crepe rubber and the innovative, technological injection of MS.PU, ECCO has redesigned a classic platform, refining it with dynamic, lightweight comfort. The FLUIDFORM™ Technology ensures a finely tuned balance of cushioning and rebound. Based on traditional crepe platform design, using cast moulds, but re-engineered to deliver extreme anatomically designed comfort and substantial weight reduction. 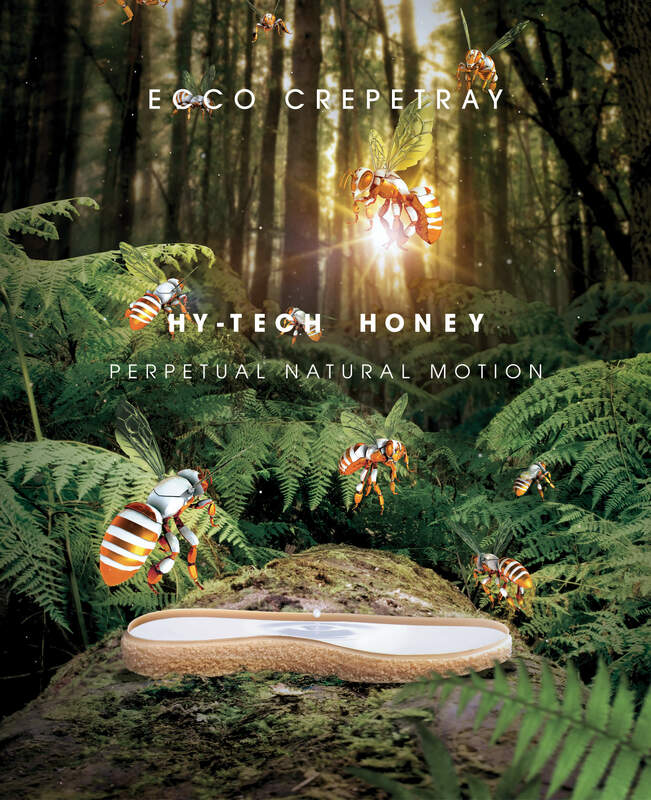 A hollowed-out ECCO CREPETRAY injected with MS.PU, offers a fusion of grip and traditional aesthetics, combined with lightweight, soft and shock absorbing qualities. 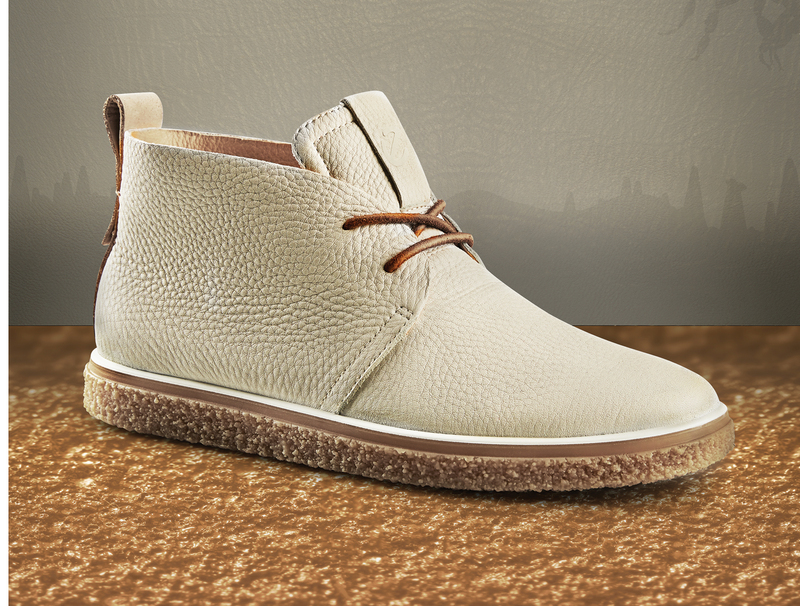 There is a timeless elegance to the desert boot which is enhanced by the rich, pebbled, full-grain leather, as well as the authentic vintage detailing. 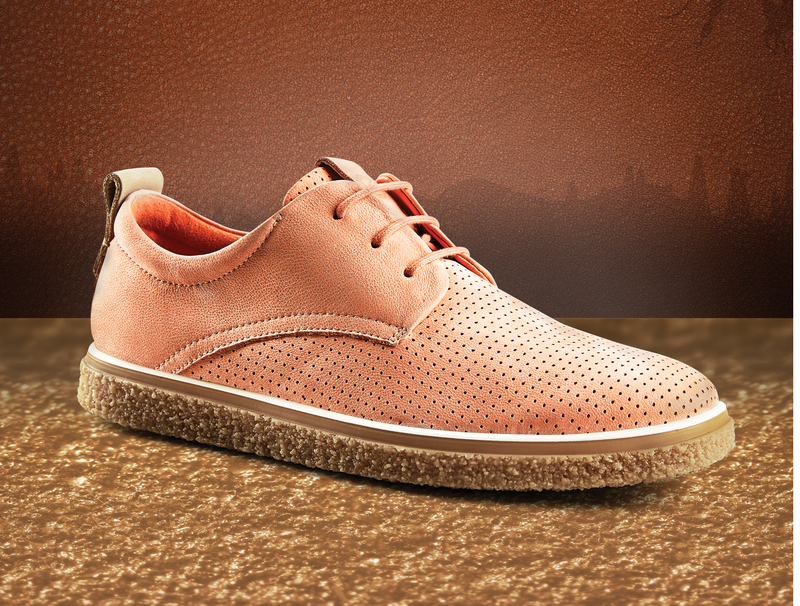 To give the ladies’ derby silhouette a futuristic edge, the uppers are made using the dynamic Kromatafor tanning process which produces a colour-shifting leather. The men’s three-hole moccasin is a combination of innovative crepe sole and uppers crafted from rich, full-grain leather, with authentic vintage detailing.